We give small businesses the resources to become innovators in the fields of engineering, science, technology and mathematics. Our focus is on early-stage companies involved with advanced technology, e-commerce, healthcare, and industrial products and services, principally located in the Northeast. The group is most interested in companies requiring $250K-$2 Million at pre-money valuations of less than $5 Million, who have a credible multi-option exit strategy and are led by an experienced core management team. There is no dedicated fund, nor are there "cash calls" - members participate in investments at their own discretion. The group maintains strong ties to other investment groups and many of the members have affiliations with early-stage Venture Capital firms. The eCoast Angels has been a leader in promoting best practices and encouraging cooperation between regional angel groups. 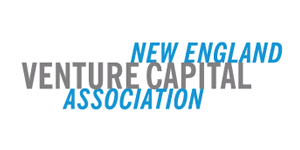 We are a charter member of the Angel Capital Association, North America's professional alliance of angel groups, and co-founders of the Northeast Angels. Members have invested in many companies since the network's inception. In keeping with the group's purpose, we have offered advice and counsel to many companies that were not funded by the network. In fact, several of these companies have gone on to receive funding based on the network's referrals. Companies that have received investment support from the group include: Aras, PillPack, Knipbio, AtlasWatersystems, Libboo (Prolific Works), Disruptor Beam, Groove Mobile, FastAsset, Platelet Biogenesis, SemiNex, and V-Kernel (Quest). To learn more about the group or to submit an Executive Summary or Business Plan, contact us using the link above. (Not necessarily a complete team) with relevant success in developing similar technology, starting up new businesses, and penetrating similar markets. A market opportunity sufficiently large to create a business with revenues greater than $25 million within 5 years. Exciting, unique products or services that meet important customer needs, obsolescing existing alternatives. A compelling, well-articulated strategy for capturing and defending a significant market share, including key execution milestones. A thorough understanding of the competitive landscape and a sustainable, overwhelming competitive advantage. Strong and defensible underlying intellectual property. Supported by a detailed list of underlying assumptions that stand up to typical investor cynicism. Deals requiring $250K-$2MM at pre-money valuations of less than $5MM, with little or no need for additional private equity financing. Alternatively, a credible ability to accomplish significant business milestones that will attract the next funding level. A credible, multi-option exit strategy, achievable within 5 years, with an ROI of at least 5X invested capital. Early stage opportunities in technology, communications, e-commerce, healthcare, and industrial products and services, principally located in the New England region. Candidate firms must have the need and desire for advice and coaching, and willing to work with us as we actively advance the company. While we generally like to get referrals through personal introduction, if you have a solid business that needs funding, we will consider your proposal.